This week, Michael prepares to get into law school, Rogelio and Darci try to figure things out, and we figure out what Petra's plans are. As Michael has decided he wants to be a lawyer, Jane becomes stressed out with his seeming lack of preparation. Jane also is worried about her novel. She is worried about showing it to Alba, but when Alba reads it, she loves it, and it is a very sweet scene. As Jane tries to re-work her novel, Michael stresses out about getting into law school, and there is a great scene as Jane tries to fall asleep. Jane and Michael talk about their worries, and they talk out the worst case scenario. Rogelio tries to get over Darci, but is unable to. Then, they decide to try things out (and there is a great Donald Trump joke). 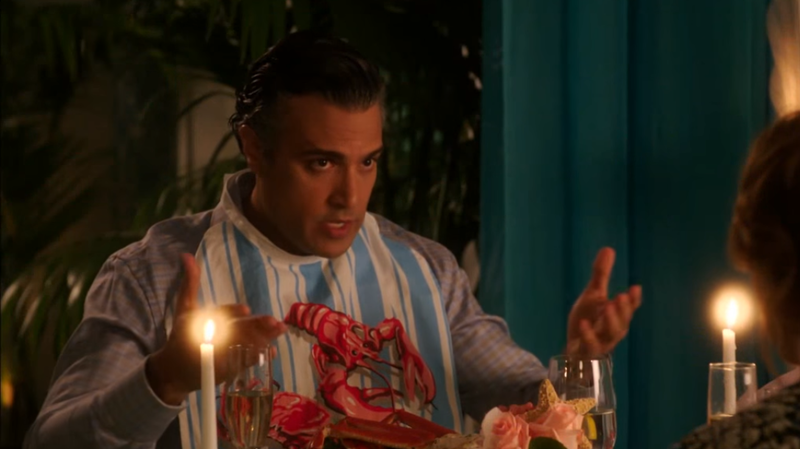 Meanwhile, Rogelio can't decide how to end his telenovela, which is very funny. A conversation that Rogelio and Darci have causes him to realize the ending of his telenovela, which is entertaining. Petra and Catalina begin working together, which is an interesting combo. When Catalina takes Rafael away for a day, he ends up sharing with her his family situation. Rafael realizes that Petra is spying on him, and she has a great scene when he confronts her. This scene really lets Yael Grobglas shine. At the end, Scott finds the part of the will that Petra got rid of, and the narrator tells us that this is going to cause some bad things in the future. Jane and Michael's parts of the episode this week were great, and Yael Grobglas did a great job in the scenes where Petra worked things out with Rafael. What did you think of "Chapter Fifty-Three"? Leave your thoughts in the comments!